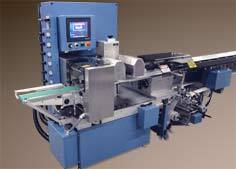 The AccuWrap GPS-10N Horizontal Wrapping System is manufactured by GGA Packaging. The GPS-10 is a geometric packaging system which forms a package for multi-item kits. The system makes the film pocket with a geometrically shaped forming plate and inverted film unwind eliminating the need for a forming box. All models are UL approved and have optional CE certification.